Basket for Two w/ Harvest Card - The Farm & Woodbury Sugar Shed, Inc. The Farm's Summer-Fall 2019 "Basket for Two plus a Harvest Card"
Begin eating local and healthy this year! ENROLLMENT BEGINS October 1ST 2018 – until all spaces are filled. SPACES ARE LIMITED; Fulfilled on a First Come First Serve Basis. A $110.00 Pre-Loaded Harvest Card will await you at your first pickup of the program start. With the card you may purchase additional produce, fruits, meats, and other farm products from the stand at pickup or whenever the stand/store is open. Harvest card cannot be used for floral merchandise. 16 Weeks of Fresh Vegetables raised for you grown with your support of our farm! A great way to eat healthy, and support the local agricultural scene! 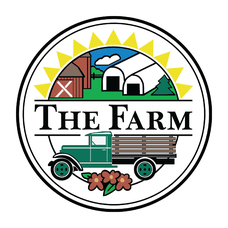 Get to know your farmer, discover new vegetables you might not otherwise try, and of course, have the direct connection with the farm where your produce comes from. This size basket called a , “Basket for Two” is a great way for couples, or a single individual to experience our CSA without feeling overwhelmed by large amounts of produce each week. In this share will be many of the same items as the Farm Family Basket, just less quantities of each. We are designing this share to be an amount 1-2 can consume in a weeks’ time.